Dr Blood's Video Vault: I got the Liebster Blog Award again! 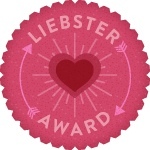 I got the Liebster Blog Award again! It seems that this "award" is going round and round in circles now with several people getting it half a dozen times or more. This time, even though I have way over 100 followers and shouldn't be eligible for it at all (according to the original rules), I received it from Halloween Overkill. Thank you, but I'm not passing it on again. I will, however, answer the questions which came with it because that's the fun bit. I'll also change the spelling back to (British) English so I don't feel like a naughty five year old who can't spell. Yes, that extra "u" and some apostrophes make all the difference! 1. What is your favourite Hallowe'en tradition/memory? I honestly haven't got one. We don't celebrate Hallowe'en in Britain (even though we invented it) and I haven't seen much of it where I am in America either. Possibly, it's buying a load of crap from Dollar Tree and watching a marathon of horror movies on AMC each year. 2. Halloween III - terrible or underrated? Terrible but still the best of a bad lot. 3. Your favourite guilty pleasure film? "Clueless" (1995). I just love empty-headed blondes. 4. If you could meet any one horror icon dead or alive, who would it be? I've already met all of the ones I wanted to so this is really hard. I can't even think of a dead one who I ever cared about that much either. The girl who played Lola in "The Loved Ones" maybe since she's still alive. Easter. I get chocolate eggs and Lindt bunnies. No, Hallowe'en isn't my favourite holiday, and it isn't actually a holiday. 6. What is your favourite TV show of all time? "Blakes [sic] 7" - It was a science-fiction adventure show back in the late '70s. Yes, I know they spelled it wrong and it should have been "Blake's 7". 7. 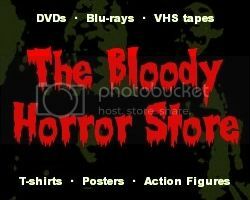 Is there a single horror movie or scene you cannot stomach to watch, what is it? "Shaun of the Dead" (2004). I honestly think I would kick the TV screen in if that was put on in front of me even if it wasn't my TV. I hate that film, loathe the sight of Simon Pegg and Nick Frost, and despise everything to do with it. 8. What is more exciting, a horrible thunderstorm or an insane snowstorm? A "horrible thunderstorm" even though I don't find any thunderstorm all that horrible. I love thunderstorms. 9. Who is your favourite fictional horror icon? 10. What is your favourite Hallowe'en treat? So many Hallowe'en questions... getting bored now. Doner kebabs. 11. You can only watch one Hallowe'en special/movie this year, what do you choose?